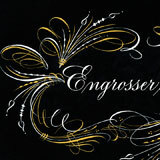 Learn or enhance your Engrosser’s Script! After a digital presentation inspires you to reach for your limitless calligraphy potential, an introduction to specialized tools and materials will be discussed and demonstrated. This will include the oblique penholder, nibs, unique inks/paints, and fine art papers. The upper and lower case will then be analyzed and practiced. 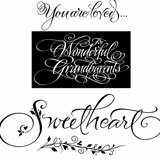 In addition, insight into how to stylize your ‘hand’ for the creation of your own custom designs and greeting cards, will be blended into the course. Flourishing techniques for the pointed pen will be presented, and practiced as time allows. Students will receive a folder of beautiful handouts. 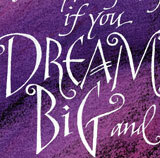 The elegance of the flourish is what many individuals love about calligraphic artwork. Come explore the beauty of a variety of different types of flourishes as we analyze, dissect and execute them on ascenders, descenders and capitals. You will form them free and contemporary, controlled and refined. 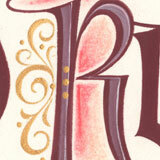 Learn to add decorative enhancements to your flourishes. Also covered will be the tasteful placement of the flourish within the art. 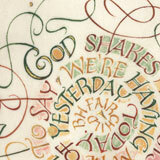 After careful practice, you will try your hand at completing a finished piece with the incorporation of flourishes. Choose Italic or Copperplate. The Decorated Letter has always been a beautiful cornerstone in a calligrapher’s repertoire of skills. In this class, the student’s scope of the decorated letter will be broadened as simple to complex styles will be covered. You will examine and learn from the historical letters, breaking down these old letterforms, looking for components that we can contemporize, ultimately creating letters that will fit our times. A rich collection of digital examples will inspire you while discussion of design elements, colors, materials, simple methods of gold powder and leaf plus tools, will assist you on your way to producing exquisite alphabetica. Lastly, enjoy several practical exercises that will spark your imagination and help you to design letters based on skills and ideas that are uniquely yours. 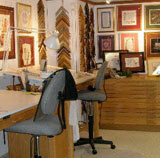 You have gathered your treasured family history and want to design an impressive original to display it. This is a class that will help you to do just that. We will begin our workshop by exploring a smorgasbord of Family Tree examples, contemporary and traditional, lettered by Holly Monroe and others. 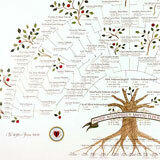 Included in the layouts are wreath, tree, round, shield charts and books with clever ways to show your family history. In addition, we will closely analyze the traditional ascendant/descendant chart and the circular chart. You will learn creative ways to place titles, illustrations and photographs on these layouts. The remainder of the class will be focused on your personal family history layout. You will choose ideas from the earlier examples and begin to carefully organize your lineage onto your selected paper. Genealogical research will be briefly discussed and a digital presentation will been shown. 2½-day class will get you started; a 5-day class allows more time to complete lineage. Whatever your skill level, adding a touch of gold always sets your work apart. 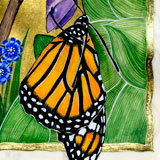 We will make traditional gesso (which gives you the finest detail) and learn how to lay gold leaf and burnish it. Several simple methods of applying gold will also be taught - Acrylic Gloss Medium, Gold Size and 24k Gold Powder/Shell Gold. 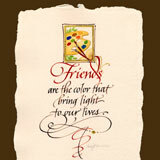 Enhancing your designs on fine art papers and vellum will be a focus. You’re a calligrapher, the entrepreneurial spirit has struck and now you need to fine-tune the business aspects of your profession. First, you will evaluate your calligraphic, business and entrepreneurial skills. Then topics such as determining your market, finding clients/advertising, setting prices, and creating a business plan will be addressed. Small group discussions and hands on activities will help you gain insight into setting up your studio, creating various business forms, working at home (or outside the home), managing your work and using a planner (paper or electronic). In addition, we will cover licensing your work, copyrights, taxes, accounting and anything else you need to know to be successful. Have a special interest or need? Custom classes are always available and welcomed; .